Sperm function tests assess the presence or absence of factors needed for proper fertilization and initiation of embryogenesis; put differently, these tests measure the ability of a sperm to deliver a normal haploid complement of chromosomes to an oocyte. Advanced tests of sperm function have helped us to gain a tremendous understanding of the physiology of sperm capacitation, acrosome reaction, and sperm-ovum interaction. For this reason alone, an understanding of these tests is still vitally important to the practicing andrologist, reproductive endocrinologist, or embryologist. These tests do accurately predict the likelihood of success with IUI (with or without ovarian hyperstimulation) or IVF. Unfortunately, with the increased use of IVF/ICSI, these tests are less widely used by physicians. 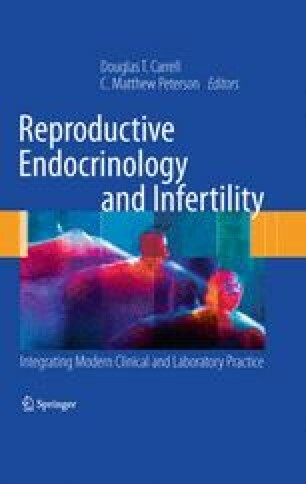 Despite this, the usage of these tests to properly identify which couples need to proceed to IVF/ICSI (due to a low likelihood of success with IUI or IVF alone) would represent a significant step forward toward a cost-efficient and health-conscious treatment algorithm for couples with infertility.